Moscow (Москва) is the capital city and the most populous federal subject of Russia. The city is a major political, economic, cultural and scientific center in Russia and in Eurasia. According to Forbes 2013, Moscow has the largest community of billionaires in the world. 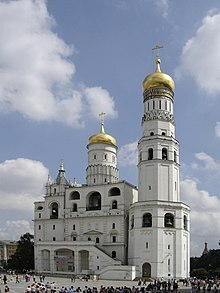 Moscow is the northernmost megacity on Earth, the second most populous city in Europe after Istanbul and the 6th largest city proper in the world. Here are luxury and penury, abundance and the most extreme deprivation, piety and atheism, … and an unbelievable frivolity—warring elements which, out of their constant conflicts, create this marvelous, outrageous, gigantic whole which we know by its collective name: Moscow. Best view of Moscow is from the belly of the bomber. Quoted in Lev Losev, Joseph Brodsky: A Literary Life, Yale University Press, 2011. This page was last edited on 23 May 2017, at 15:14.